This site last updated February 2017. 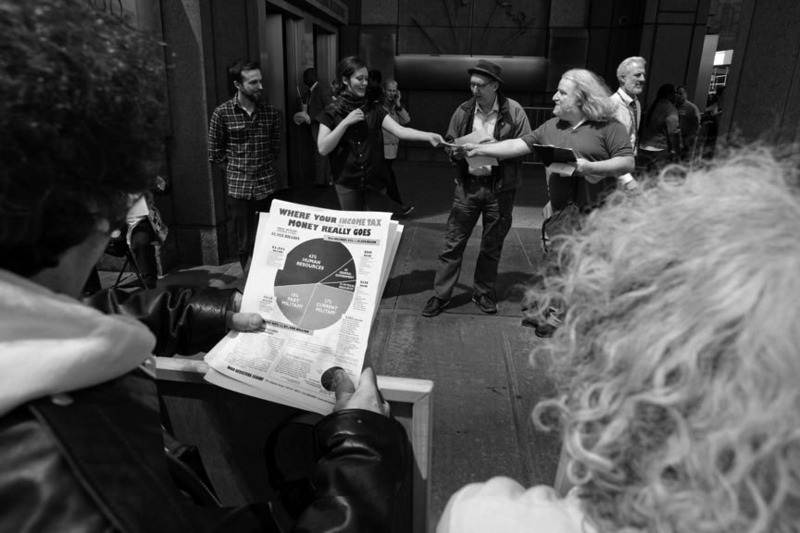 On Monday, April 18, in front of Internal Revenue Service offices (in the Ted Weiss Federal Building in downtown Manhattan) Jerry Goralnick and Robert Heiger presented grants to four groups. 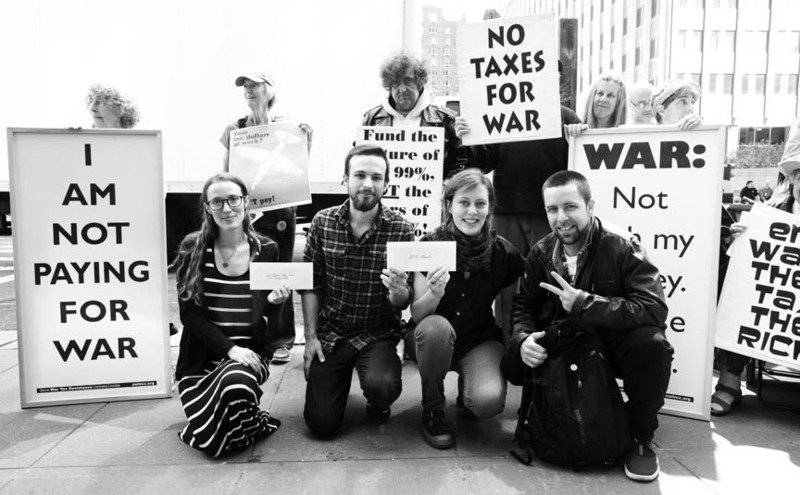 Pictured right, Josh Yocher and Arielle Lawson accept a check for Not an Alternative, a NY based collective organization that works at the intersection of art and activism. They host free lectures, screenings, panel discussions, workshops and artist presentations at their studio in Greenpoint, Brooklyn, and around the world. If you're a small organization and you want to learn how to amplify your message Not an Alternative is where you go. BK Rot is a community supported composting operation that generates year round environmental jobs for local youth in Bushwick, Brooklyn. Their work is at the intersection of the social and environmental injustices impacting youth of color from the neighborhood and the health of our community and larger ecosystem. The New Sanctuary Coalition of New York City is an interfaith network of congregations, organizations and individuals standing publicly in solidarity with families and communities resisting detention and deportation in order to stay together. They provide legal counseling and a network of citizens to accompany people who have to go to their immigration hearings and Immigration and Customs Enforcement check-ins. The Peace Poets are a collective of artists from the Bronx that celebrate, examine and advocate for life through music and poetry. They work in New York City schools and Youth Detention Centers and they add style, lyricism and rhythm by creating songs and chants for many social justice movements. Kyle Barron (The New Sanctuary Coalition), Josh Yocher and Arielle Lawson (Not an Alternative), and Luke Nephew (The Peace Poets) with grant checks.